Second Half ends, Paris Saint Germain 4, St Etienne 0. Corner, St Etienne. Conceded by Thomas Meunier. Attempt saved. Moussa Diaby (Paris Saint Germain) left footed shot from outside the box is saved in the bottom right corner. Assisted by Christopher Nkunku. Corner, Paris Saint Germain. Conceded by Timothée Kolodziejczak. Attempt blocked. Wahbi Khazri (St Etienne) right footed shot from outside the box is blocked. Attempt missed. 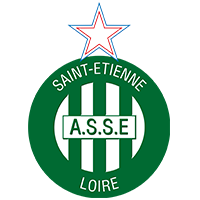 Robert Beric (St Etienne) left footed shot from the centre of the box misses to the left following a set piece situation. Goal! Paris Saint Germain 4, St Etienne 0. Moussa Diaby (Paris Saint Germain) left footed shot from the left side of the six yard box to the bottom left corner. Assisted by Edinson Cavani. Attempt missed. Edinson Cavani (Paris Saint Germain) right footed shot from the centre of the box misses to the left. Assisted by Julian Draxler. Substitution, St Etienne. Assane Dioussé replaces Lois Diony. Substitution, St Etienne. Robert Beric replaces Yannis Salibur. Attempt saved. Julian Draxler (Paris Saint Germain) left footed shot from outside the box is saved in the centre of the goal. Assisted by Edinson Cavani. Goal! Paris Saint Germain 3, St Etienne 0. Ángel Di María (Paris Saint Germain) left footed shot from a difficult angle on the left to the top right corner. Presnel Kimpembe (Paris Saint Germain) wins a free kick on the right wing. Substitution, Paris Saint Germain. Christopher Nkunku replaces Marco Verratti. Offside, Paris Saint Germain. Julian Draxler tries a through ball, but Juan Bernat is caught offside. Attempt blocked. Ángel Di María (Paris Saint Germain) left footed shot from the centre of the box is blocked. Assisted by Thomas Meunier. Attempt missed. Moussa Diaby (Paris Saint Germain) right footed shot from the centre of the box is too high. Assisted by Thomas Meunier with a cross. Substitution, St Etienne. Romain Hamouma replaces Kévin Monnet-Paquet. Goal! Paris Saint Germain 2, St Etienne 0. Edinson Cavani (Paris Saint Germain) converts the penalty with a right footed shot to the bottom right corner. Penalty conceded by Loic Perrin (St Etienne) after a foul in the penalty area. Attempt missed. Adrien Rabiot (Paris Saint Germain) left footed shot from outside the box is close, but misses to the right. Assisted by Julian Draxler. First Half ends, Paris Saint Germain 1, St Etienne 0. Second Half begins Paris Saint Germain 1, St Etienne 0. Adrien Rabiot (Paris Saint Germain) has gone down, but that's a dive. Attempt missed. Neven Subotic (St Etienne) header from the centre of the box misses to the left. Assisted by Wahbi Khazri with a cross following a corner. Attempt missed. Gabriel Silva (St Etienne) right footed shot from outside the box misses to the left. Assisted by Neven Subotic. Attempt blocked. Wahbi Khazri (St Etienne) right footed shot from the right side of the box is blocked. Assisted by Kévin Monnet-Paquet. Attempt saved. Yannis Salibur (St Etienne) left footed shot from outside the box is saved in the bottom right corner. Assisted by Yann M'Vila. Lois Diony (St Etienne) wins a free kick in the attacking half. Attempt missed. Thomas Meunier (Paris Saint Germain) header from the centre of the box is too high. Assisted by Ángel Di María with a cross following a corner. Attempt blocked. Ángel Di María (Paris Saint Germain) left footed shot from the centre of the box is blocked. Assisted by Marco Verratti. Corner, Paris Saint Germain. Conceded by Neven Subotic. Goal! Paris Saint Germain 1, St Etienne 0. Julian Draxler (Paris Saint Germain) header from the centre of the box to the top left corner. Assisted by Marco Verratti with a through ball. Attempt missed. Yann M'Vila (St Etienne) right footed shot from outside the box is close, but misses to the right. Yannis Salibur (St Etienne) wins a free kick in the defensive half. Attempt missed. Loic Perrin (St Etienne) header from the centre of the box misses to the right. Assisted by Wahbi Khazri with a cross following a corner. Attempt blocked. Yannis Salibur (St Etienne) left footed shot from outside the box is blocked. Assisted by Yann M'Vila. Foul by Yannis Salibur (St Etienne). Dangerous play by Presnel Kimpembe (Paris Saint Germain). Corner, Paris Saint Germain. Conceded by Loic Perrin. Attempt missed. Lois Diony (St Etienne) left footed shot from the right side of the six yard box is close, but misses to the right. Assisted by Yannis Salibur with a cross. Attempt saved. Ángel Di María (Paris Saint Germain) left footed shot from outside the box is saved in the centre of the goal. Assisted by Marco Verratti. Attempt saved. Wahbi Khazri (St Etienne) right footed shot from outside the box is saved in the centre of the goal. Assisted by Ole Selnaes. Attempt missed. Julian Draxler (Paris Saint Germain) right footed shot from outside the box is too high. Assisted by Marco Verratti following a corner. Attempt saved. Julian Draxler (Paris Saint Germain) right footed shot from the centre of the box is saved in the bottom right corner. Assisted by Ángel Di María. Match ends, Paris Saint Germain 4, St Etienne 0.